Japanese legend has it that Marimos are the result of a star-crossed metamorphosis of a chief’s daughter and her peasant lover. On the eve of her arranged marriage to someone else, the daughter and her lover planned to make a watery grave in Lake Akan. 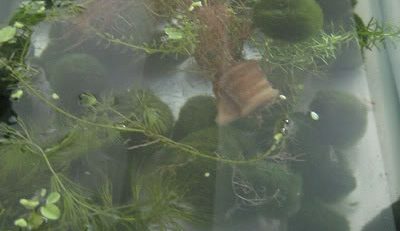 Instead, they were transformed into velveteen spheres of algae that would transfix plant and pond enthusiasts forever. Some swear that Marimos bring luck, love, and fortune to anyone who raises them. Because of their spherical shape, Marimos are often thought to have Feng Shui properties that promote healing and balancing effects. Many people use them in tanks with reptiles, fish, or amphibians because of their tendency to absorb and eradicate unwanted tank fungus. 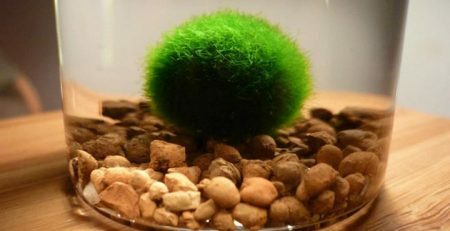 The name Marimo comes from the Japanese botanist Tatsuhiko Kawakami, who derived it when combining temari (a toy hand ball) and mo (generic name for a water plant). Marimos vary in color and texture depending on their region of origin, but all are perfectly round, silk algae balls that lack both leaves and roots. Colors vary from chartreuse to jade. There are three types of Marimos: the first is an actual floating ball. Another is epilithic, while a third forms an almost-carpet of unattached tufts on the lake surface. 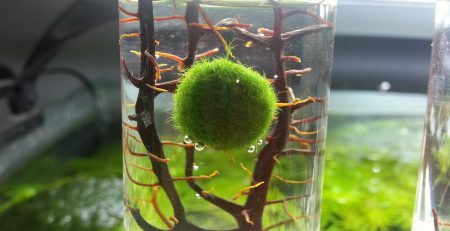 They’re sometimes called “Japanese moss,” though no Marimo is actually a moss. They do not have a center root or pit. 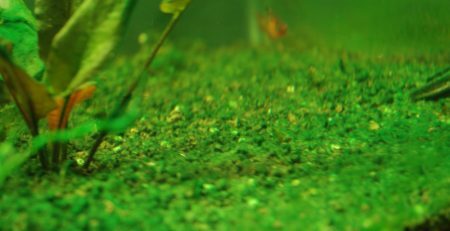 Don’t expect to literally watch your Marimo grow; they’ll only increase about five millimeters annually. Over time, they can grow to be up to 12 inches in diameter. The bigger the Marimo, the more valuable it becomes. If you want to propagate Marimos, you’ll need to destroy them—in the wild, Marimos self-propagate by breaking apart. 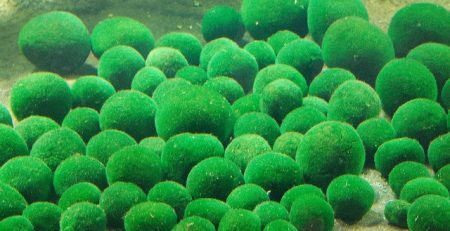 It’s a painstaking process to roll the individual algae filaments back together to create new Marimo, and any man-made Marimo will likely not be a perfect ball. 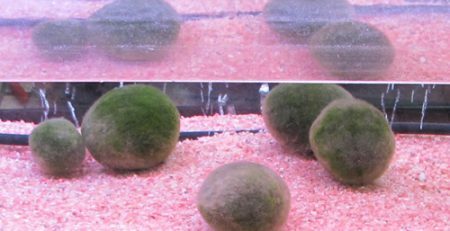 Marimo balls incredibly easy to care for and don’t need light to thrive. Put your Marimo in water. 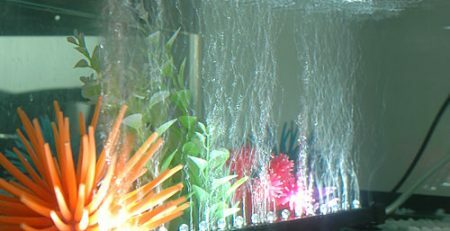 Any size aquarium or tank will work. 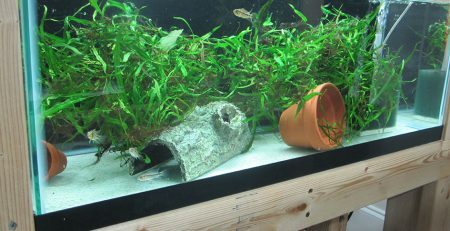 BE SURE THAT THERE’S NO ALGAE-KILLER IN THE WATER. Change the water once a week. 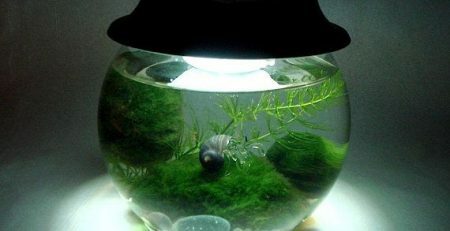 If the Marimo ceases to float, simply remove it from the water and squeeze out the excess. 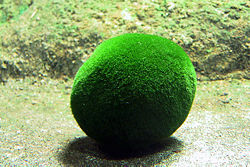 Flip the Marimo every week or so to avoid a dead-patch on one side. Marimos are sometimes mistaken for animals in the wild because of their tendency to gracefully float on the water’s surface, aided by wind-induced currents. Stirring up the water occasionally can help them grow faster.